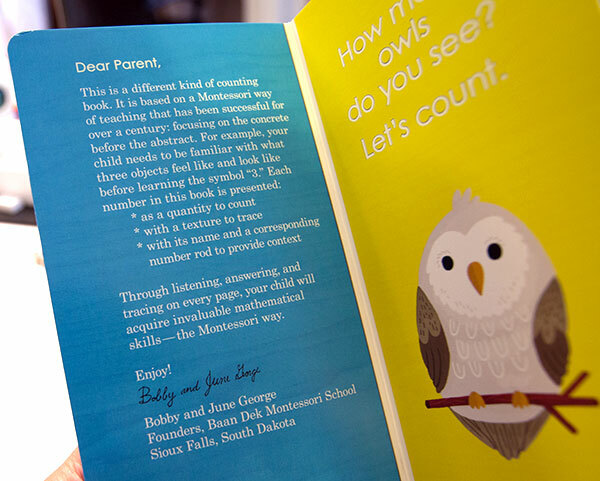 Well, Bobby and June George, founders of the Baan Dek Montessori School in Sioux Falls, SD have been actively taking Maria Montessori’s philosophies and principles into the next generation with their beautiful, intuitive Montessorium iPad apps! 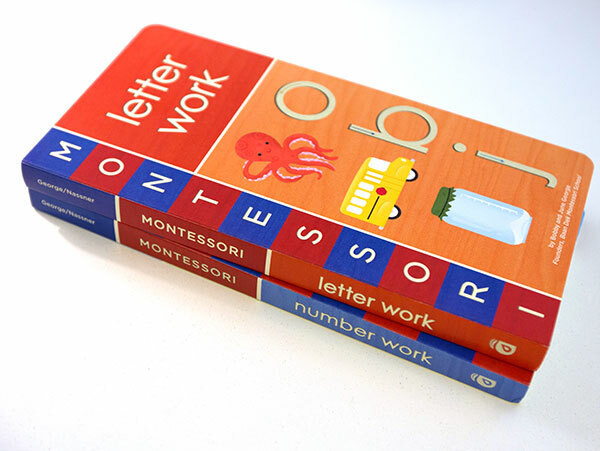 With Intro to Math, Intro to Letters, Intro to Geography, and Alpha Writer they have been off to an amazing start… and have just released two board books: Letter Work and Number Work. 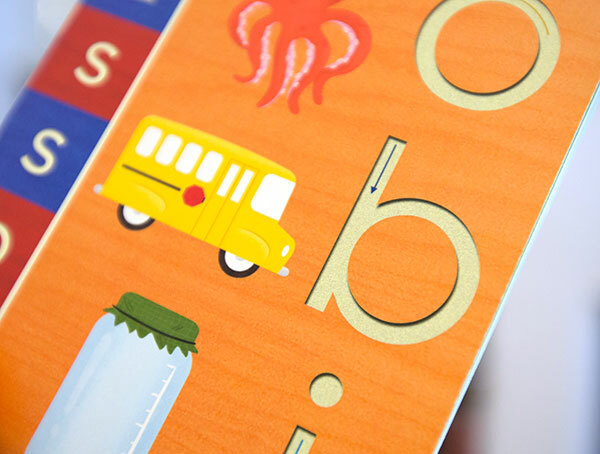 While mainstream tablets haven’t evolved to let you feel textures quite yet… these board books bring back the sand paper letters of my childhood into a new format. 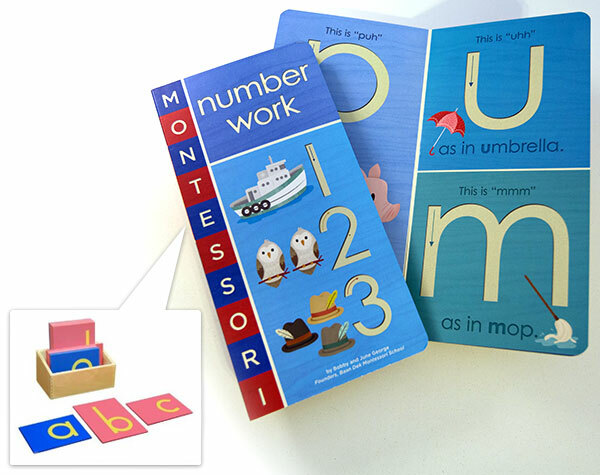 On the cover as well as inside the books you can trace the sand paper textured letters and numbers! 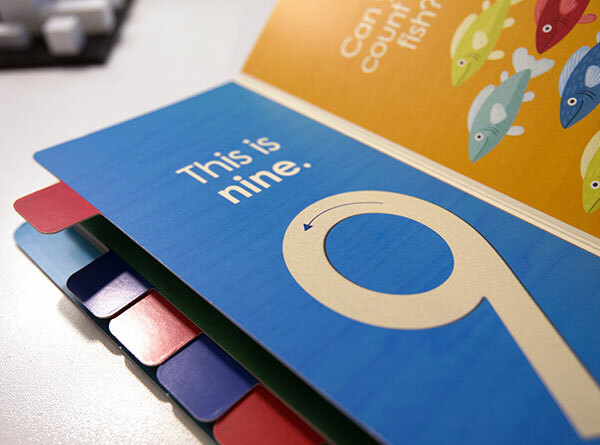 You learn the sounds and shapes before learning what they are called… and beautiful illustrations by Alyssa Nassner accompany them. Beyond the nostalgia ~ these are definitely going on my go to list of presents for little ones! 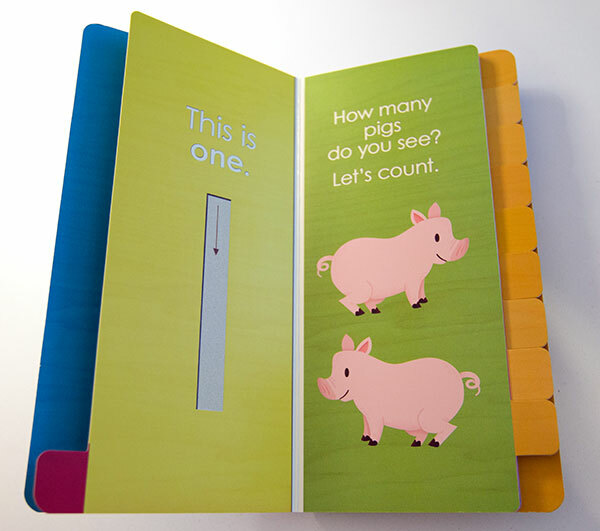 Take a peek inside the books on the next page! 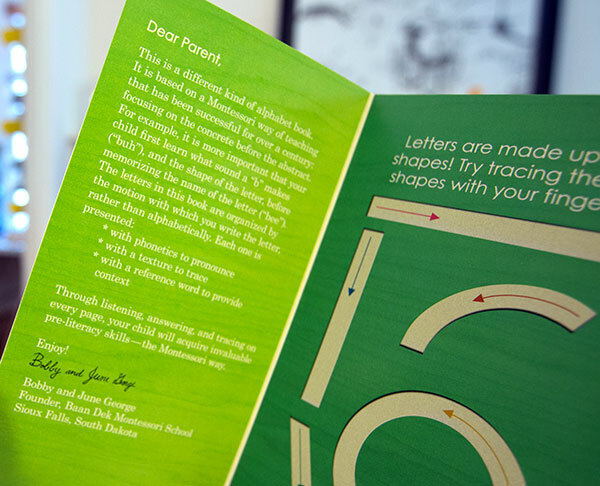 Love the Montessori influence. This is my first time seeing the write-up inside. Curious to see other projects by Bobby and June. Very happy, as well, to be introduced to NOTCOT. Must explore.